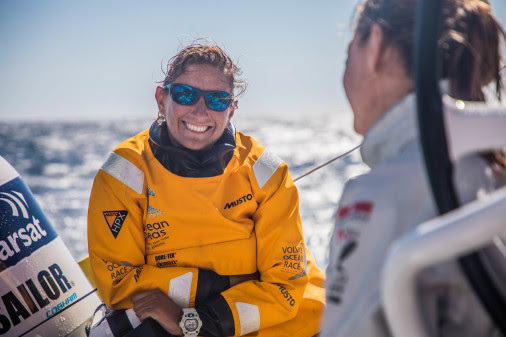 Bluewater, world leader in innovative drinking water technologies and solutions, today announced a partnership with universally admired record-breaking yachtswoman Dee Caffari, as the company's Global Brand Ambassador. The collaboration means that Dee Caffari will work closely with Bluewater to further raise awareness around the ocean plastic pollution issue, how that is linked to drinking water quality and how Bluewater’s existing solutions help solve both these major problems. Dee Caffari said; “I am passionate about planetary and human health and totally share the Bluewater commitment to raise awareness about plastic pollution in our oceans and take action to turn the tide on plastic. Bluewater and I share a deep-rooted desire to make a positive impact on the planet by bringing together our mutual creativity, drive and belief that a water without plastics world is achievable."